By unanimous decision, Deontay Wilder defeated Haitian-Canadian heavyweight champion Bermane Stiverne to become the newest American WBC heavyweight champion of the world. Where was the knockout? In any case, this was an even fight. Scorecards: 118-109, 120-107, and 119-108. In fact, this was not an even fight. Each round was a replay of the previous round: Stiverne walked forward, throwing few punches, content to wait for an opening. 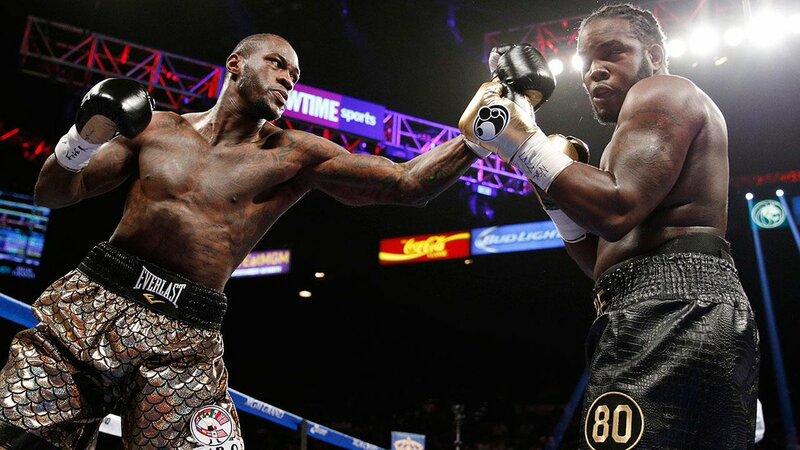 As Stiverne's intention was obvious, Wilder felt satisfied in relying on the jab, throwing his right hands sparingly, so he could continue using his jab – that is, not wanting to step into a punch to avoid being in range for a counter from Stiverne. The first round looked promising for Stiverne, for he used the high-guard defense, which he maintained throughout the fight, a position from which he has a great jab, and from which he was able to parry Wilder's right hand. He seemed to have measured Wilder. But in only three rounds did Stiverne have any sustained punch output; I thought he won those rounds. Otherwise it was Wilder's activity that won him rounds. Curiously, even at close range Stiverne failed to be active, but I will return to this below. In round two Stiverne was badly hurt by Wilder, barely able to get up at the end of the round after trip-falling from a barrage of punches. Thankfully, referee Tony Weeks leaped in to tackle Wilder so Bermane was not hit on his way to the canvas. In round six, it was Wilder who was, predictably, countered by a left hook while throwing a right uppercut from too far away. Wilder was clearly hurt, as he responded by being tentative to throw punches for the remainder of he round. Round seven, Stiverne staggers to the ropes from a Wilder straight right hand that lands between the high-guard defense of Stiverne. Stiverne languished on the ropes but got through the round. While both fighters fatigued by the later stages of the fight, I noticed in Stiverne that which was reminiscent of Mike Tyson later in his career: a lack of resolve. He needs to have his way early in the fight or he mentally quits. This was perceptible in his post-fight interview with Jim Gray when he claims not to have felt one-hundred percent, not physically, not leading up to the fight, but during the fight. On several occasions, Stiverne had Wilder against the ropes and did not appear committed to throwing more than two punches. It is also unbecoming of this former footballer to not be determined enough to move his feet to cut off the ring. But football is stop-and-go, this is boxing. Deontay Wilder fought the perfect fight using his height and reach advantage to dominate an opponent in Bermane Stiverne who lacked the will to win. 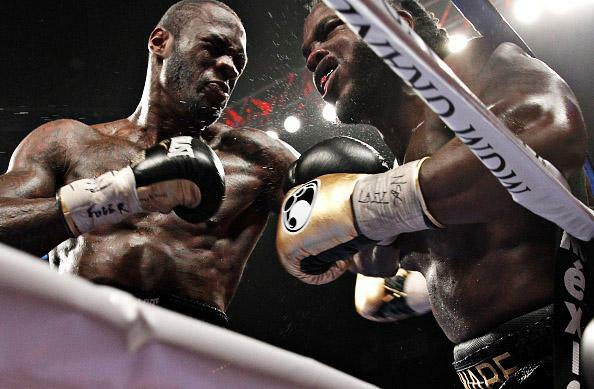 Deontay Wilder defeats a lethargic Bermane Stiverne to be crowned the WBC Heavyweight Champion of the World.